The National Real Estate Investor recently took a look at campus retail and how it is changing. For decades, universities were known for their dearth of retail beyond a college bookstore. 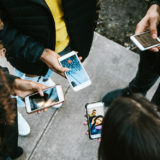 But now, retailers both large and small are seizing the opportunity to expand their operations beyond traditional shopping centers and onto university campuses where they can capture the attention of a niche audience: students. Students’ demand for college essentials in a convenient location while away at school has led retailers to create college-geared shopping experiences. This is a trend that we have seen locally with the development of the 120 acre Wichita State Innovation Campus. A full-service Starbucks opened March 17th, 2017. 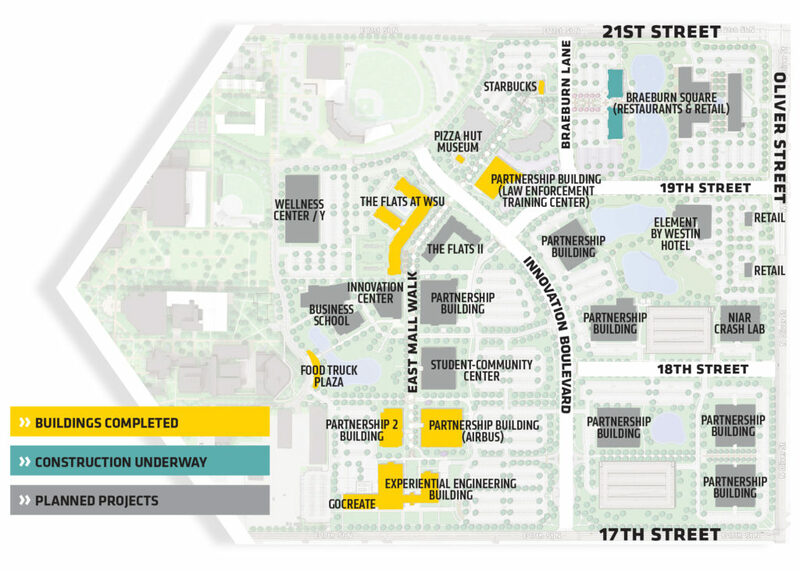 The 20-acre on-campus development called Braeburn Square is home to The Shocker Store, a Meritrust Credit Union location and will be home to Wichita’s newest Fuzzy’s Taco Shop. Plans have been revealed for a Hyatt Place hotel and, upon approval, construction will begin this spring and be completed in 2020. NAI Martens is the largest full-service commercial real estate firm in Kansas. Founded in 1948 and headquartered in Wichita, NAI Martens provides a vast array of commercial real estate services throughout south-central Kansas and Topeka. NAI Martens is led by CEO Steve Martens, CCIM, CPM, SIOR and President Tom Johnson, CRE – two industry veterans with 80 years of combined commercial real estate experience. NAI Martens is one of the five Martens Companies. NAI Martens clients have a distinct advantage in commercial real estate services. Whether real estate requirements are in one market or many, we help you understand the market, acquire, dispose of, develop or manage your property. Call on NAI Martens when you need sales, leasing, asset management, consolidation, build-to-suit, development, construction management or investment services. Use our services with confidence. We take pride in our ability to produce results with the highest standard of client serve and ethical practice. We will listen and tailor our services to your specific requirements. We will suggest and implement solutions through a seamless partnership to help you accomplish your objective. We are dedicated to building long-term relationships.